To coincide with Undercurrent, the final stage of the Akkyduck project we invite you to an in conversation between Yoke and Simon Boase, Programme Producer at The Art House. This conversation will explore the germination of the project, its development over the past 2 years, and how Yoke’s practice has both informed and been informed by Akkyduck. In addition there will be poetry readings from Philip Dawson Hammond, a former feature writer with the Towpath Talk newspaper who compiled Stanley Ferry Wakefield, A Brief History in 2012. Philip has written two brand new poems for the exhibition and publication which he will be reading along with a selection of his other works. 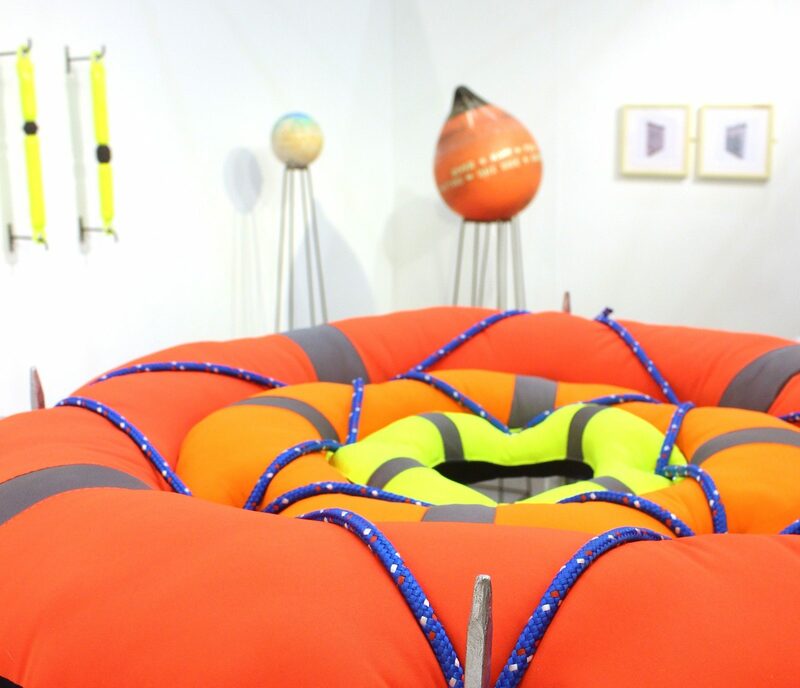 A major new exhibition by Yoke, Undercurrent draws upon research and personal experience of the Aire & Calder navigation and its surrounding waterways. The exhibition is the resulting showcase of Yoke’s project ‘Akkyduck’ through which Yoke have been exploring the stories past and present of the inland waterways, specifically Stanley Ferry, Wakefield. Focusing on the physical and psychological tensions that arise from a rich history, re-appropriation after economic decline to a leisure pursuit, and from the constant pressure, flow and strength of the water Undercurrent hopes to explore the place where tranquillity, excitement, dread and fear collide. Kindly supported by Arts Council England and The Art House. Join us for the launch of Undercurrent as part of Artwalk this January, alongside a one night only showcase from our recent graduate artists in residence. There will be delicious refreshments available from Laura’s, plus our brand new shop will be open to explore.